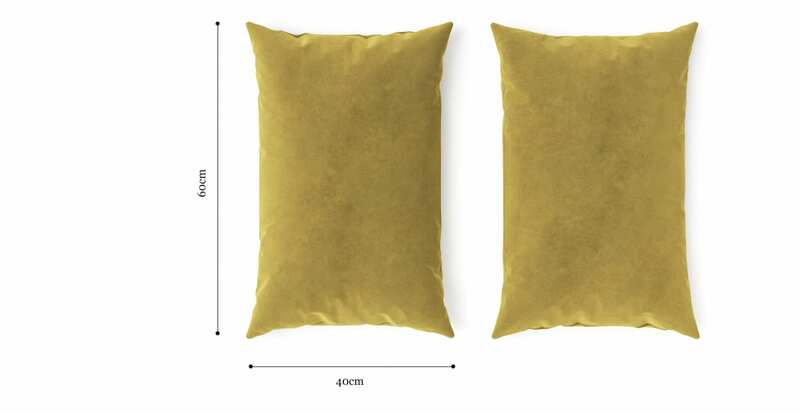 The Elementary Cushion in Citrine is a stylish decorative piece for the home, which works well in any room of the house with a variety of sofas or beds from Brosa. With a striking bright Citrine shade, the fabric of the Elementary Cushion is a soft and durable Warwick Mystere velvet. View the rest of the colour range on offer here. With three sizes on offer to mix and match as you please, the cushions feature premium quality Australian Duck Feather Down for an extremely soft and plush feel. A discrete and easy to use zipper has been fitted to blend in seamlessly with the design of the piece, and comes in a matching shade.